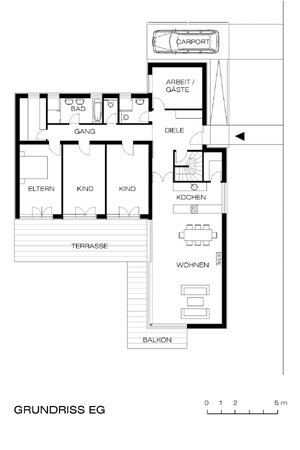 This simple bungalow is located in the spa village of Bad Sauerbrunn on the slope of the Rosalia Mountains with a view of the hills of Burgenland. 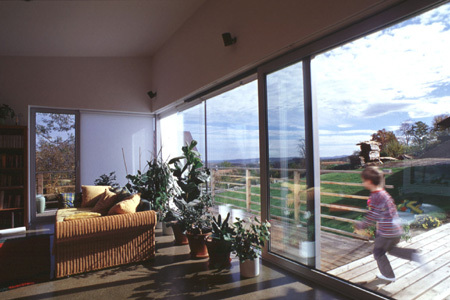 In order to do justice to the magnificent panorama, all the living spaces face the valley. 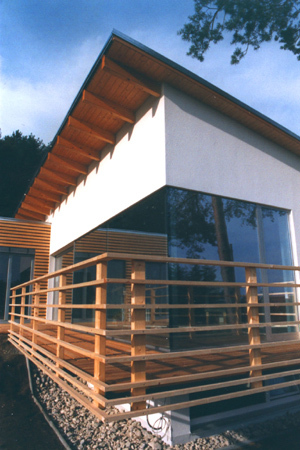 This was achieved by an placing the cube of the sleeping area at a right angle to the long slender living area with its white stucco façade and lean-to roof. 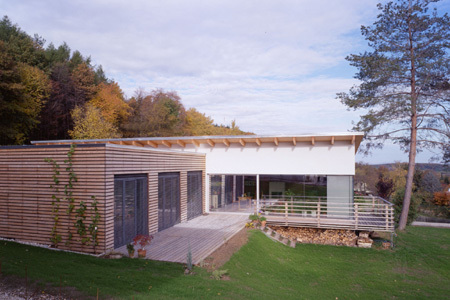 Both wings have an “introverted” side oriented to the back as well as an “extroverted” front, with large windows opening to a spacious terrace.The clear structural and simple static concept made it possible to construct a modern building within its landscape setting on a limited budget.